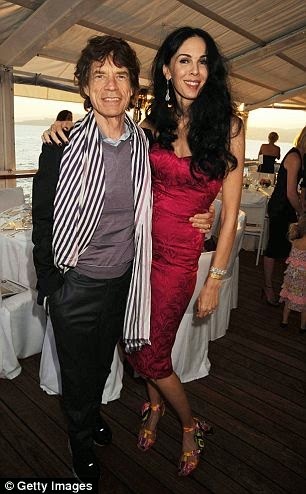 In sad news just in, fashion designer L'Wren Scott has been found dead after hanging herself in her Manhattan apartment on Monday morning (US time). Scott was said to be distraught and ‘embarrassed’ over her failing business, as she owed nearly $6million to creditors, MailOnline has said. A spokesman for Mick Jagger said the singer, who is in Australia as part of the Rolling Stones tour, was 'completely shocked and devastated' following the news of her death. When asked if they were still in a relationship at the time of her death, he replied ‘of course’. The designer, 49, was found by her assistant and there was no immediate suspicion of foul play though the Medical Examiner has not yet released the formal report. Scott has dressed many celebs on the red carpet, including fan Nicole Kidman, who had an apartment in the same building Scott died. Sarah Jessica Parker was also a huge fan and worse her designs, and said that Scott 'was one who seemed to come naturally to joy'. 'She was a joyous participant, a planner. She really enjoyed company and occasions. There was a delight to her that is hard to imagine extinguished,' Parker told Women's Wear Daily. 'She didn't reveal another side to me but of course... we are all complex as human beings and I wouldn't have claimed to be privy to that other part of late. Fans including Oprah Winfrey, Sarah Jessica Parker and Michelle Obama. She had even been tipped to design Angelina Jolie’s wedding dress, says the Daily Mail.